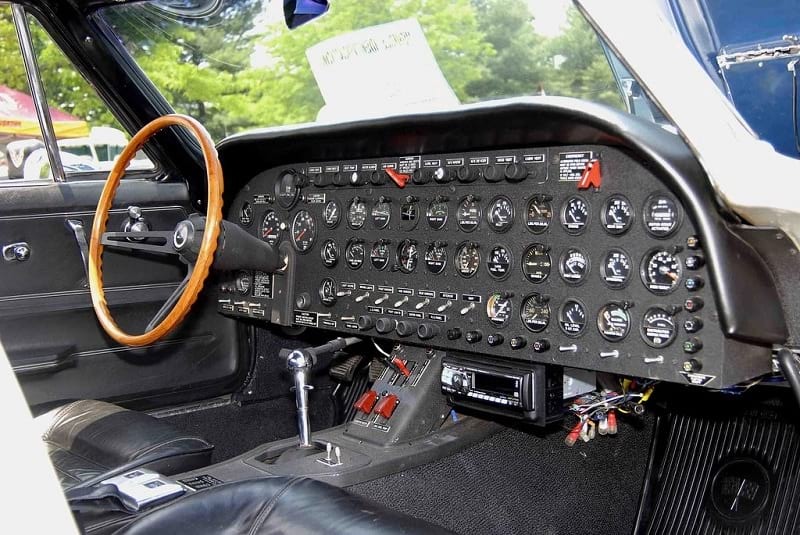 Aviation-inspired dashboard of a '66 Corvette. Photo courtesy of Thom Perry. Have to move the video to 50:03 - or 3003 seconds, like it says in the URL - but it wants to start at the beginning! Last edited by McDesign; 03-25-2019 at 07:18 PM. I haven't seen an 8 track player in a while. Didnt Learjet inventor develop the 8 track? or maybe he made pick up truck rear bed caps. Wonder If the owner checks under the hood/bonnet before it's started. I believe they did my first 8 Track in 1969 was a Lear in my Cooper S.